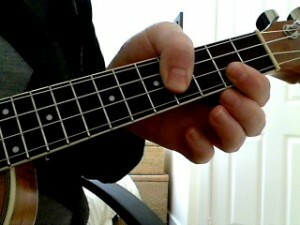 The E chord – the bete noire of all ukulele players. 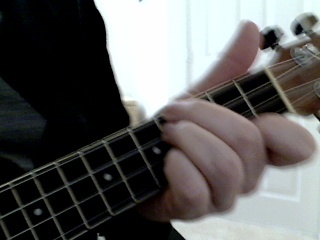 Trying to cram all your fingers into a tiny space on the fretboard. Impossible. 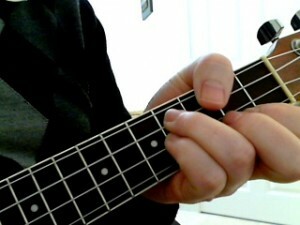 So here are ten possible ways to play the E chord. Try them out and see if you like any of them (I don’t). Disadvantages: A lot of fingers to fit into a small space. Disadvantages: Takes some practice to get the hang of. Disadvantages: You need to have your ring finger leave the strings at a difficult angle so you can still hear the A string. 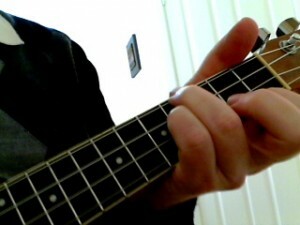 A string muted with any finger (including the underside of the ring finger). If you stop the A string ringing in the triple-up, you will still have and E chord as the G string is giving you the same note. You can use individual fingers along with a mute to make this chord. 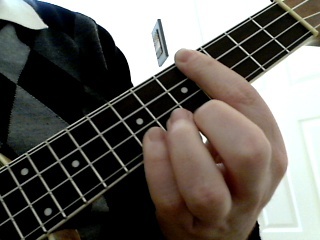 Index finger – Barre across all strings at the 4th fret. 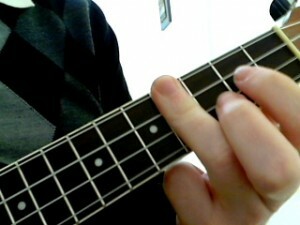 Little finger – A string 7th fret. Like a C chord moved up four frets. 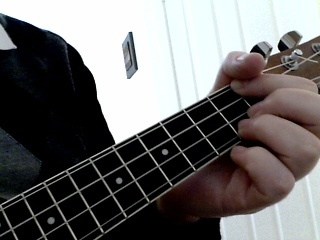 It’s one of my favourite ways to play it. Disadvantages: The barre takes some practice. Can be a big jump to and from open chords. 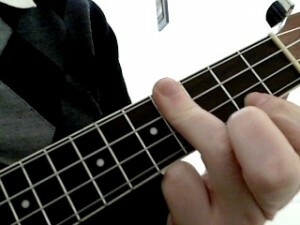 Like an E7 chord with the middle finger muting the C string rather than fretting it. 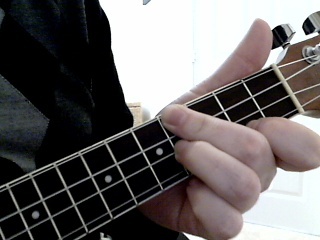 Or you could use the underside of your index finger to mute the string. 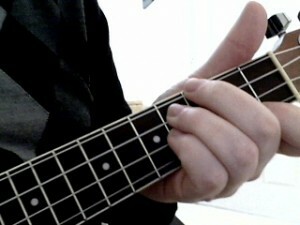 Disadvantages: Sounds a bit nasty as you have a big ‘thunk’ in the middle of the chord. 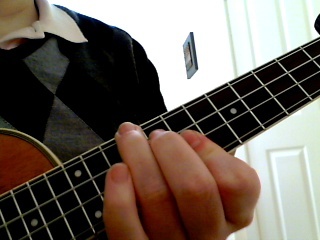 Disadvantages: No major third note so it’s not a major chord. In some songs this it doesn’t really matter. The Bb chord shape moved up the neck. Disadvantages: A long way to travel if you’re playing open chords. 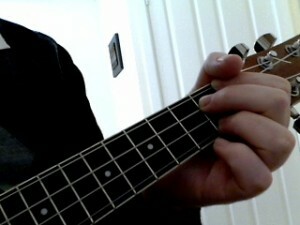 Disadvantages: Makes changing to and from other chords difficult. Almost always sounds horrible.